Ice Breakers are a vital, and often overlooked aspect of teen library programs. Any teen librarian knows that there can be a lot of tension surrounding the first 5 minutes of a teen library event. Some teens arrive by themselves, nervous and shy, not sure what to expect. Ice Breakers are a great way to get everyone to relax, and set the tone for a fun, unique event. But anyone who’s ever participated in a group ice breaker knows how utterly boring and awkward they can be. 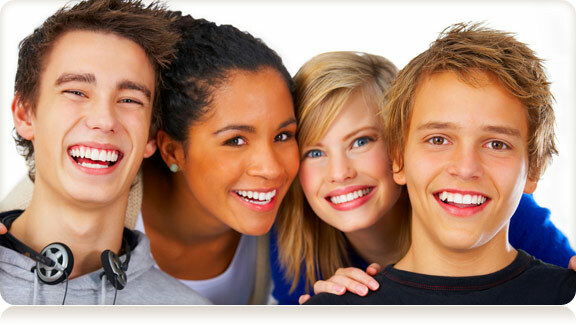 Our goal should be to run interesting ice breakers that get teens talking to each other, and most importantly…laughing. In any library program, every minute counts. Even ice breaker minutes. Below are my tried and true suggestions for teen programming ice breakers: guaranteed to get them talking and laughing. Everyone gets a sheet of paper. Start by writing a sentence at the top – could be a description of a scene (e.g. Kanye West on a roller coaster), a character (A very tiny dragon with seven wings), or a story (Once upon a time a vampire fell in love with a ghost). Take turns sharing the ridiculous progression of the story. This is basically the same as normal Pictionary (2 teams, each gets 1 minute to get their teammates to guess their word) – except instead of drawing with a pencil and paper, you draw with your finger in pudding. It’s silly and gross and messy, and teens love it. There are two teams. Everyone gets 3-5 slips of paper and writes nouns on them – characters from shows, places, items. The words all go into one bowl. There are 3 rounds. In round one teams have to get their teammates to guess the words by describing them with as many words as they want. In round 2, teams can only use one word to describe the item. In round 3 teams must act out the word, but cannot make any sound. Bonus 4th round – teams act out the word, but must wear a blanket draped over top of themselves. The teams alternate back and forth and have 1 minute each to get through as many words as possible. Each round ends when all the words in the bowl have been guessed. The words are reused each round. The pair with the most in common get to stay together, everyone else has to switch partners. This continues for each round. The person with the most points combined from each round wins! Free Downloadable: Mind Readers Ice Breaker Sheet. 5. Ellen DeGeneres’ Heads Up! Hilarious guessing game similar to Taboo where you have to get the person to guess the word on the screen. The app is available for 0.99 here, or you could simply create a deck of index cards with words written in big block letters. The same as charades, except instead of one person acting out a word for a group of people to guess, a group of people act out a word for one person to guess. The guesser switches from round to round. Two teams can compete. This is hilarious to watch, and is great because it takes the pressure off the one actor. What are your favourite unique ice breaker activities for library programs?